Hello, I'm Dr. Denika Douglas. Thank you for taking the time to learn more about me and how I may be of help to you and your family. First, I must tell you that I come from a family that is dedicated to service. I am a native Houstonian and was raised with a passion for serving, strengthening, and uplifting my community. This passion for serving my community, along with my love of learning led me to the fields of education and mental health. In 1999, I earned an undergraduate degree in Psychology from Texas A&M University. I later earned a Ph.D. in Counseling Psychology from the University of Houston. I trained at Texas Children's Hospital, Houston Independent School District, and Charis Psychological Associates where I gained experience in educational and psychological assessment; individual, family, and group therapy; parent and teacher training; and consultation. 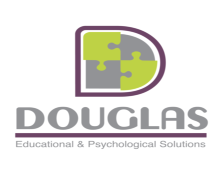 Before starting my private practice, I was employed by Houston Independent School District, first in the Psychological Services Department, then in the Special Education Department. While with HISD I continued to develop my skills in working with children, teens, parents, teachers, school administrators, and members of the community. I am a Licensed Psychologist and a Licensed Specialist in School Psychology. I currently see children, teens, adults and families. I offer individual, family, and group therapy as well as play therapy and educational and psychological assessment. Though I work with a number of issues, I specialize in the assessment and treatment of attention- deficit/hyperactivity disorder, depression, anxiety, grief, trauma, and autism-spectrum disorders. In addition, I provide training to parents and teachers and offer consultation to school personnel. 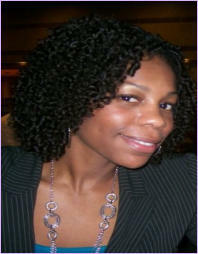 I look forward to the opportunity to work with you, Denika Y. Douglas, Ph.D.